In all the three modes, your task is to move the special block outof the board. 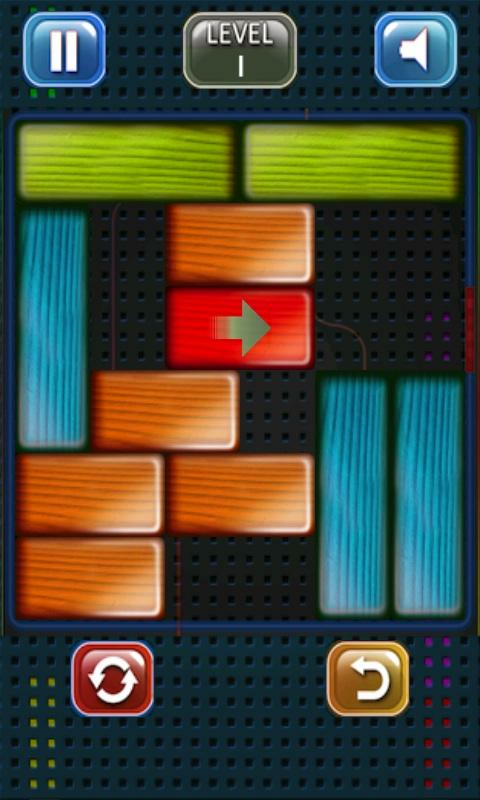 1D:- Play classic unblocking game by moving the red block out bysliding other blocks. Remember its 1D and so every block moves inonly one direction. 2D:- Again Play unblocking game by moving the red block out bysliding other blocks. Remember its 2D and so every block moves inonly two directions. 3D:- Again Play unblocking game but here's the twist, its 3d blocknow and you have to roll the block in the 3d hole. :- Tutorial in first level of every game. Simply Addictive and fun game..Flood the whole board with one color in less than the allowedsteps.You start from the top left corner, and progress by selecting oneof the colored squares at the bottom. When you change your currentarea color, every adjacent square with the same color also changes,that way you can flood other areas on the board.Select from 3 different difficulty levels of the board.You have a one time option in every game to change the colors ofthe board. 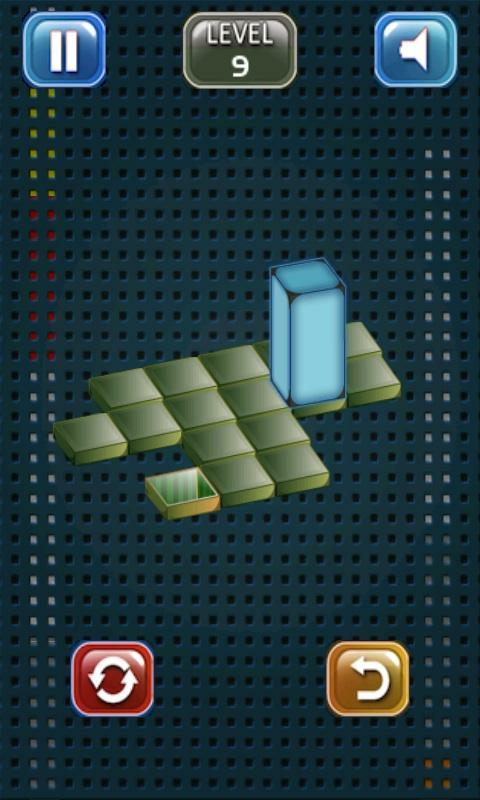 Block Out 2 is a simple and addictivepuzzlegame. The goal is to get the red block out of the board byslidingthe other blocks out of the way. Draw The Dots is an extremelyaddictinggame!Using continuous path, you need to let the pig go from one placetoanother and connect all the nodes.You cannot reuse any completed path.FEATURES:Lot many levels from very easy to extremely difficultEasy level selectionTimer Mode if you like ChallengesRelaxed mode if you are a classic type. This puzzle game is one that I am sure many of you have seenbefore.The rules are simple, but it is actually an extremely deepgame that requires some serious thinking to solve.It's perfect forexercising your brain with some simple and fun puzzle solving!Howto play:It's super easy to play!Draw the figure with one continuousstroke!There are plenty of stages with lots of variety!-An arrowedline must be drawn along the corresponding direction.-A numberedline must be drawn in the corresponding turn.-A Blue line must bedrawn twice.-You can zoom the figure by pinching the screen.IQ TESTMODE:Complete 5 random puzzles in 5 minutes to raise your IQ(in-game score)!This mode is perfect for when you have only a fewminutes to kill, and can be played over and over again!All forfree:Get hints for and see answers to puzzles you are havingtrouble with, all for free! Flow Free® is a simple yet addictive puzzle game. Connect matchingcolors with pipe to create a Flow®. Pair all colors, and cover theentire board to solve each puzzle in Flow Free. But watch out,pipes will break if they cross or overlap! Free play throughhundreds of levels, or race against the clock in Time Trial mode.Flow Free gameplay ranges from simple and relaxed, to challengingand frenetic, and everywhere in between. How you play is up to you.So, give Flow Free a try, and experience "mind like water"! FlowFree features: ★ Over 2,500 free puzzles ★ Free Play and Time Trialmodes ★ Clean, colorful graphics ★ Fun sound effects Special thanksto Noodlecake Studios, creators of Super Stickman Golf, for theirwork on Flow Free! Enjoy. Simple but addictive block puzzle classic plus !! Block PuzzleClassic Plus is the most interesting block puzzle you have everplayed! Easy to play and pleasurable game for all age. Once youstart, you will not stop playing. Just have a try, you will loveit! HOW TO PLAY BLOCK PUZZLE CLASSIC PLUS ? • Place the blockspieces into board. Once you fill in a vertical or horizontal line,it will disappear, freeing up space for new pieces. • Game will beover if there are no space for any the given blocks below theboard. • Blocks can't be rotated. • No time limits. 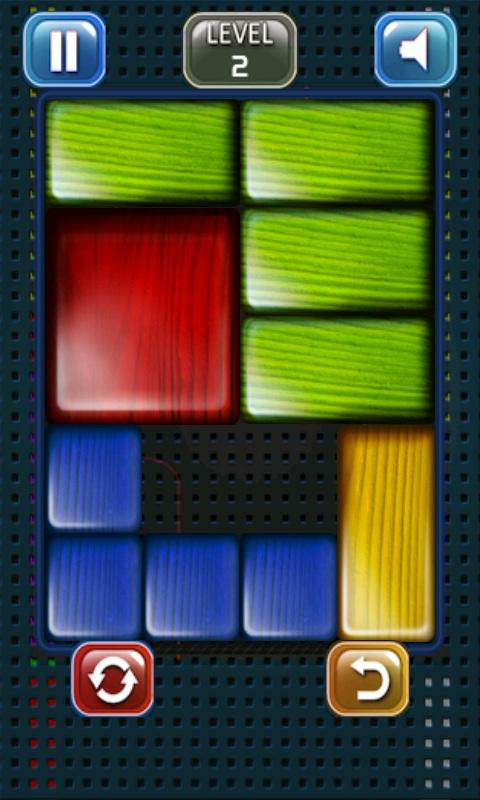 FEATURES •Simple rules and Easy control • Various Blocks and colorful graphic• Save and reload game • Support leaderboard • Funny sound effectsPlease Enjoy Our Block Puzzle Classic Plus. The More Play and TheMore Exciting ! Easy to play and pleasurable game for all age. Simply Drag theblocks, and fill up all grids. From now on, let's enjoy a simpleand addictive puzzle game! Once you start, you'll be hooked. Youcan play games for FREE! FEATURED ON GOOGLE PLAY • Fun DiscoveryToday, Let's play the games in TVCM in South Korea • Play Picks inGames in South Korea and India • Puzzle Games in Australia,Belgium, Czech Republic, Egypt, France, Germany, Netherlands,Romania, Slovakia, South Africa, Turkey and Ukraine • Our Favoritesin Indonesia, Malaysia, Philippines, Singapore, Thailand andVietnam • Brain Teasers and Puzzles in Finland and Sweden • BrainTeasers in Denmark • Puzzle More in Norway • Brain and Puzzle inGreece • Riddles and Puzzles in Israel HOW TO PLAY • Drag theblocks to move them. • Try to fit them all in the frame. • Blockscan't be rotated. • Don't worry! No time limits! FEATURES • Providetons of free levels. • Simple rules and Easy control • Smooth anddelicate animation • Hours of fun, exciting play • Support In-GameStore • Support both Phones and Tablets. • Offer 1 Free Hint per 5min (Only in case of no hints!) • Multi Player Mode • FREE Update!NOTES • This app contains banner, interstitial and video ads. •This app sells In-app products like AdFree. - Video ad is an optionfor AdFree-users E-MAIL • [email protected] HOMEPAGE •https://play.google.com/store/apps/dev?id=6249013288401661340FACEBOOK • https://www.facebook.com/BitMangoGames Let's play.